Photograph, Portrait of Robert "DJ Screw" Davis, Jr. Image available on the Internet and included in accordance with Title 17 U.S.C. Section 107. DAVIS, ROBERT EARL, JR. [DJ SCREW] (1971–2000). 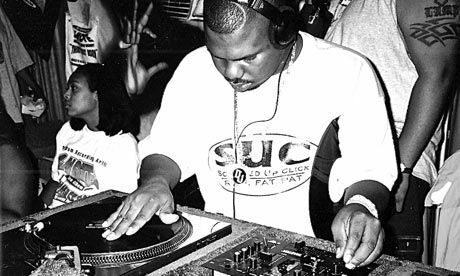 Rapper, disc jockey, and producer Robert Earl Davis Jr., known as DJ Screw, was born in Bastrop, Texas, on July 20, 1971, the son of Robert Earl and M. Deary Davis. His popularity was based largely on the unique style of music he performed, which was known as "screwed" or "screwed down" music, because it involved slowing the tempo of songs to half their normal speed or less. His nickname grew out of his practice of taking two records and "screwing" them together, using this method of changing the music's tempo. He was considered a pioneer in Houston's burgeoning rap scene, and a number of his musical associates went on to achieve their own notable success. Photograph, Picture of Robert "DJ Screw" Davis, Jr. Image available on the Internet and included in accordance with Title 17 U.S.C. Section 107. As a child Davis lived in Smithville, Texas, and Los Angeles, California. At the age of five he began collecting records. By the age of ten, when he moved to Houston to stay with his truck-driver father, Davis dropped out of school to concentrate on music. He began his career as a disc jockey in 1989. He often stayed up until 3:00 or 4:00 in the morning working on tapes for which he skillfully gathered a handful of local artists and had them perform. DJ Screw made a major breakthrough in the music scene in 1993 with his album All Screwed Up!. Among his best sellers were June 27th, Hellraiser, Plots and Schemes, and The Final Chapter. Other albums included three volumes of 3'N the Mornin, and No Work, No Play. In 1996 he opened the Screwed Up Record and Tapes store and record label in Houston. He also organized the Screwed Up Click, a crew of local rappers who provided him with rhymes to complement his beats. Drawing, Robert "DJ Screw" Davis, Jr. Image available on the Internet and included in accordance with Title 17 U.S.C. Section 107. He died of a drug overdose in the restroom of his Houston recording studio on November 16, 2000, just as the Bayou City was becoming nationally recognized as a mecca for Southern rap. After DJ Screw's death, his father Robert Earl Davis, Sr., founded the DJ Screw Foundation to honor and carry on his son's musical legacy. 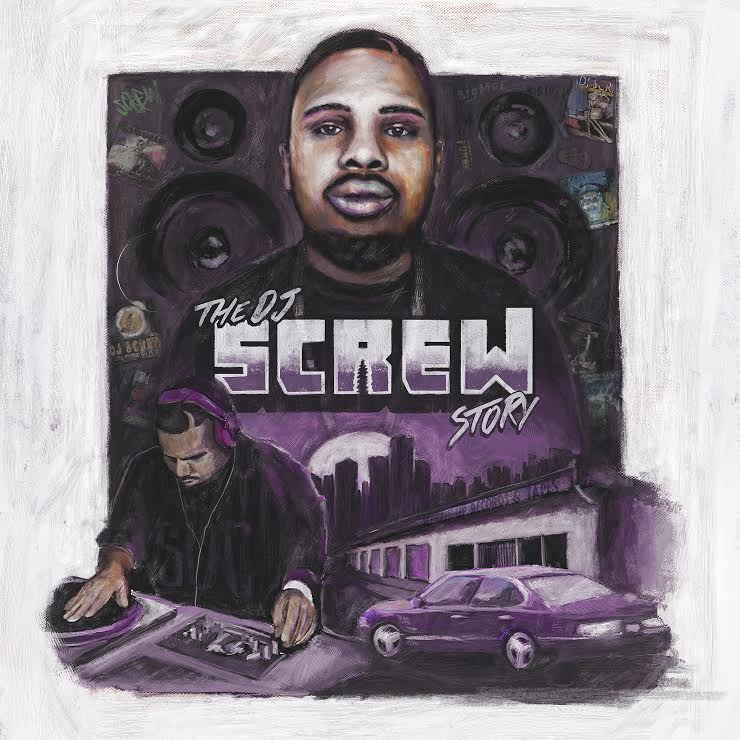 In 2006 DJ Screw: The Untold Story, a CD/DVD on the rap artist, was released by Double Platinum Entertainment. The first annual DJ Screwfest, held in Pasadena, Texas, in July of that year, celebrated the rapper's music and hosted popular rap performers and a car show. M. D. Anderson Library at the University of Houston hosted an exhibit, DJ Screw and the Rise of Houston Hip Hop, in 2012. DJ Screw Papers, 1975–2006, University of Houston Libraries. DJ Screw Photographs and Memorabilia, Digital Library, University of Houston Libraries (http://digital.lib.uh.edu/collection/djscrew), accessed November 1, 2015. Michael Hall, "The Slow Life and Fast Death of DJ Screw," Texas Monthly, April 2001. Brett Koshkin, "DJ Screwfest," Houston Press (http://houstonpress.com/2007-09-27/music/dj-screwfest/), accessed September 18, 2011. New York Times, November 4, 2010. The Official (((Screwed Up Records & Tapes))) (http://screweduprecords.com/), accessed September 18, 2011. Handbook of Texas Online, Jesse J. Esparza, "DAVIS, ROBERT EARL, JR. [DJ SCREW]," accessed April 19, 2019, http://www.tshaonline.org/handbook/online/articles/fdaag.